Larusso is Utah’s powerhouse pop-punk alternative foursome born in 2014 via their debut LP, Life In Static. 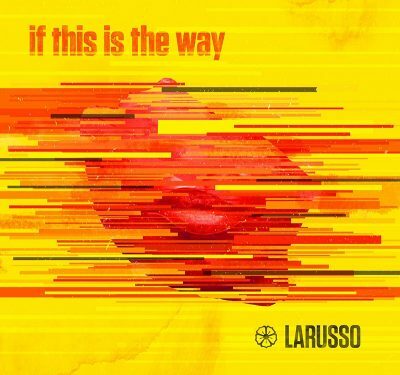 Larusso’s mainstream appeal lies in their light use of electronica amidst what could now be coined “classic” early 2000’s alt-rock a la’ Sum 41 and Simple Plan. Supporting act sets with national genre artists and several industry accolades have lifted Larusso to the ranks of one of the local ilk’s larger success stories. if this is the way is the band’s fourth full-length album and a solid manifestation of a viable post-punk and electropop marriage. “Never Better” opens with that sonic yin-yang and an overall excellent, energetic startup. Notably, Larusso are masters of the bridge, bringing their chimeric sound to the forefront in that particular body of their song structure. Slower tunes “Felt This” and “Hazel” are syrupy and a bit deflated when intermixed with their uptempo, mellow-moshpit neighboring tracks. Their use of vocal distortion makes for an interesting tactical decision, perhaps affording a bit more interest in these more languid moments. Larusso’s lyrics are fairly canned and standard for the genre, albeit with glimpses of extra lucidity and contemplation, notable on the eighth track, “All of Me That’s Left.” Arguably, their messages are accessible all around, lending to their likeability.